Spoiler Alert Warning for those who have not seen the episode "The Magical Place" Go watch it and come back. In the final scene of Agents of Shield episode "The Magical Place" it is revealed that Mike Peterson is alive. He wakes up in a dirty apartment, he is badly burned and his leg from the shin down is missing. He is not doing so well. Then he looks in the mirror and words begin to pop up in his vision. Yes, Mike has been implanted with evil all seeing eye of Centipede. To me and I am sure to some other Comicbook geeks this scene had another effect. Whooo hoooo they are making Mike into Deathlok! I know that is not a very sympathetic reaction to a nice family guy getting blown up then resurrected only to find himself trapped as a pawn of an evil organization. I defend my reaction by saying that this show desperately needs some super hero characters making a regular appearances. Deathlok is a pretty cool character and this allows the show to really build out his story and set him up, which is awesome in my opinion. If I am right that Mike is now Deathlok it would not be weird to start seeing him show up with the Avengers for instance. This show needs a character like that or the result will be that audiences will become fatigued by the loose references to the characters they care most about. 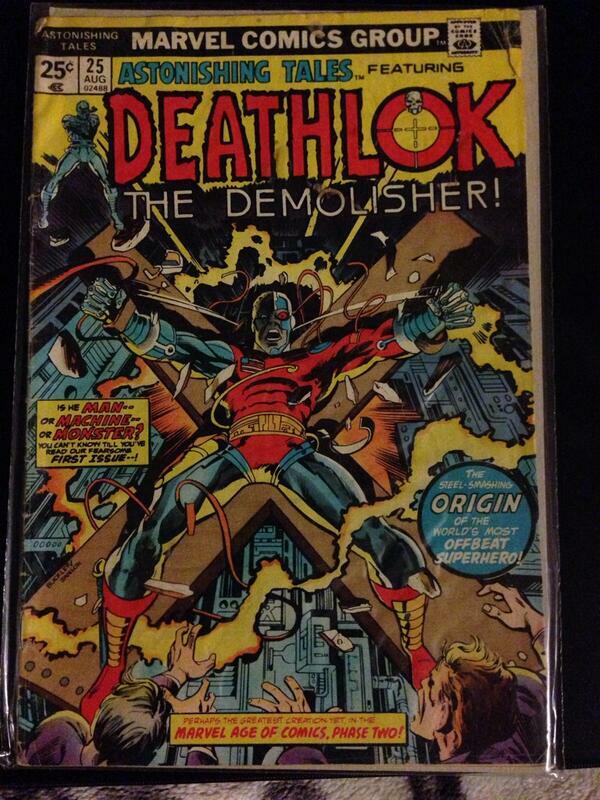 I think Deathlok is the perfect character for this show. He can be a formidable foe, or a great hero. Either way he is going to be complex. His story is some what heart wrenching and definetly adds some drama. The guy can fight so he should add some great action. Also the character was never going to get his own series so this may be the perfect medium for him to take the stage.